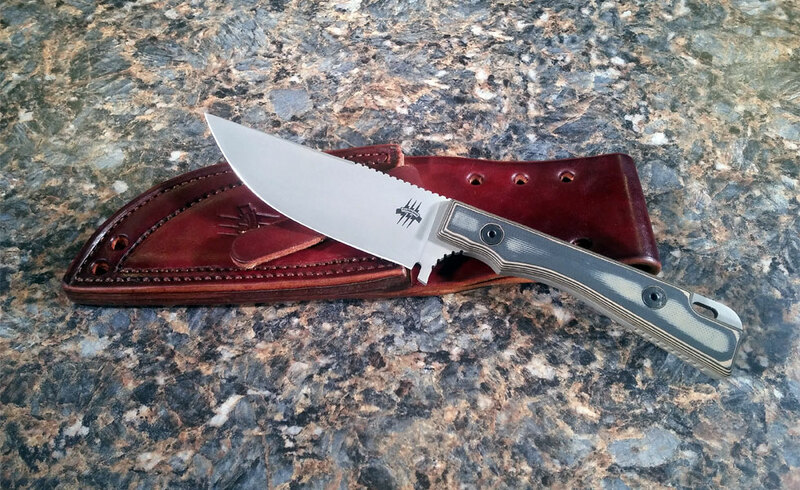 The Skinner has a 4 1/4 inch blade. 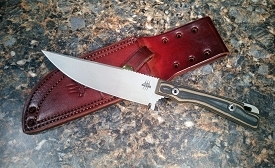 It is a straight point blade, .15 inch thick with a flat grind. It is designed with a skeletonized tang for strength weight reduction and workable balance. 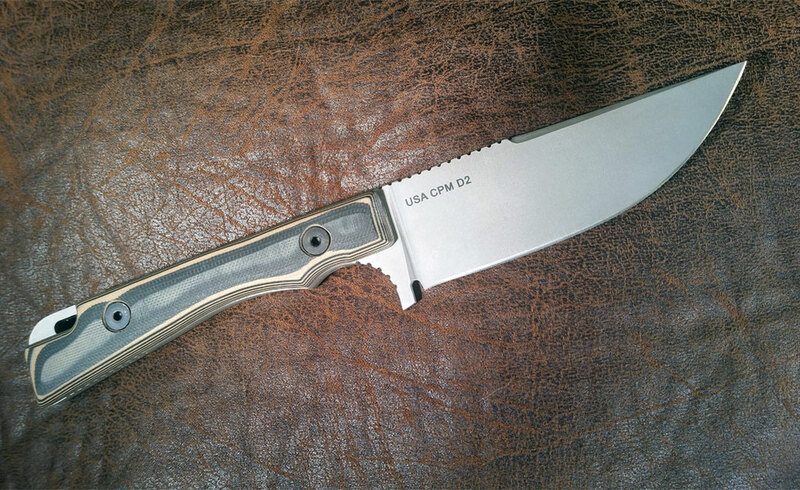 The Skinner is offered in CPM D2 Stainless Steel with a G10 Black/Coyote Layered Handle. 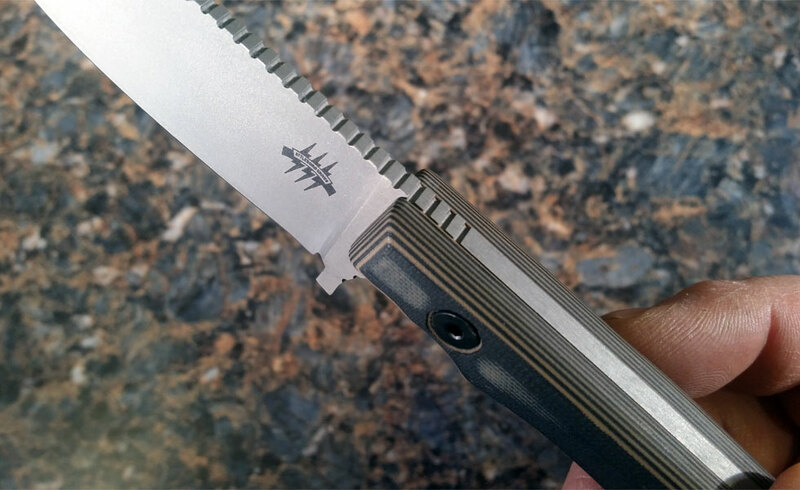 This gives a nice traditional wood look with the strength and durability of G10. 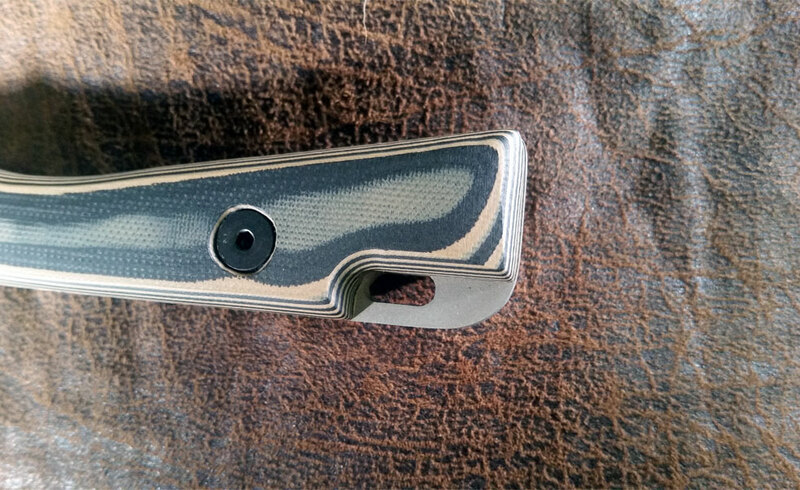 We provided jimping along the spine, finger grooves for better control, a nice choil and lanyard hole for security. 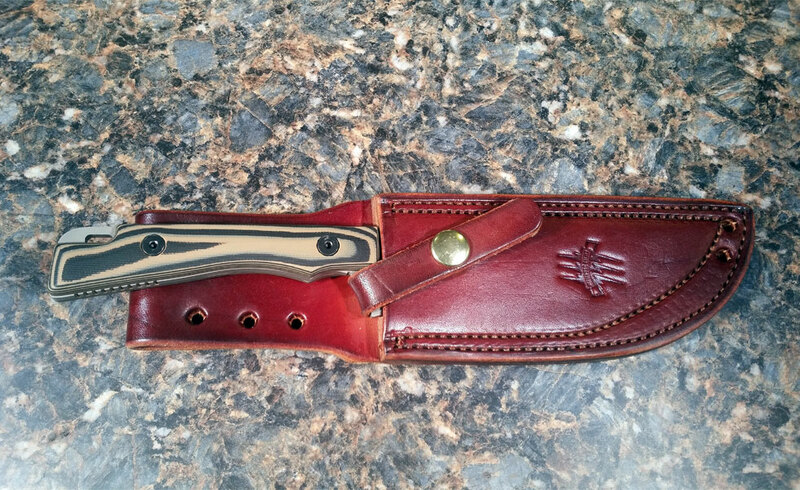 We offer this knife with a Grizzly Brown Leather Sheath.